Everything is worth doing if you approach it right. The challenge always is figuring out ways to actually use the experience wisely. If you view the world from this perspective, life itself is a constant path toward self-improvement. I have sent this video to a lot of people this week. No one should ever be afraid to show the world what they can do. The number one ingredient for succeeding at anything is simply sticking with it. That’s where the vast majority of people who try something fail. The Simple Dollar would have never succeeded if I did not stick with blogging for years and years, through thick and thin. I love how impressionist paintings are much like a faded memory. To me, they elicit something much deeper than a photograph. It feels like the closest I’ll ever get to seeing the world through another’s eyes. If you want to channel something you’re passionate about into something that can carry your whole life, the recipe is pretty simple. It takes a lot of time, a willingness to constantly improve, and a lot of focus. It brings joy, too. Ever wanted to learn about computer programming? This is probably the best tool I’ve ever seen for learning about it completely from scratch, even if you know very little about computers. I’d love to see the same approaches used for learning about other topics, too. The ideas they have for learning going on at CodeAcademy have wider applications than just code, I think. When I was younger, I used to wonder what had changed in my home town. Now, I know that most of the change was me. 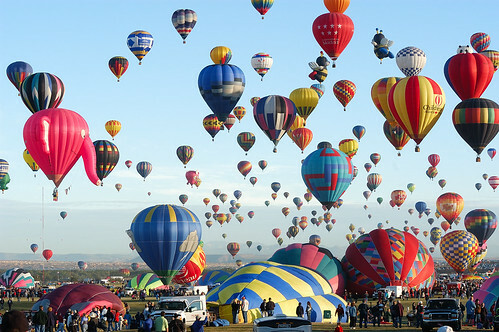 One thing I want to visit someday is a hot air balloon festival, like this one. There is something deeply appealing to me about hot air balloons. I can’t put my finger quite on what it is, but whenever I see one, I want to stop and watch it. Goldman focuses mostly on doctors, but this is true of everyone that you listen to and value their opinion. Humans are fallible. They make mistakes. That does not mean they’re evil or out to get you. This is why multiple sources are always a good idea for anything you want to know. Generally, people aren’t trying to give you bad information, but humans are fallible and imperfect. This past week, I got an email from a reader chiding me for reading and writing fantasy and science fiction, calling them childish. This was my response, a simple quote from C.S. Lewis.